Renewable energy is extremely important for the Earth's future! 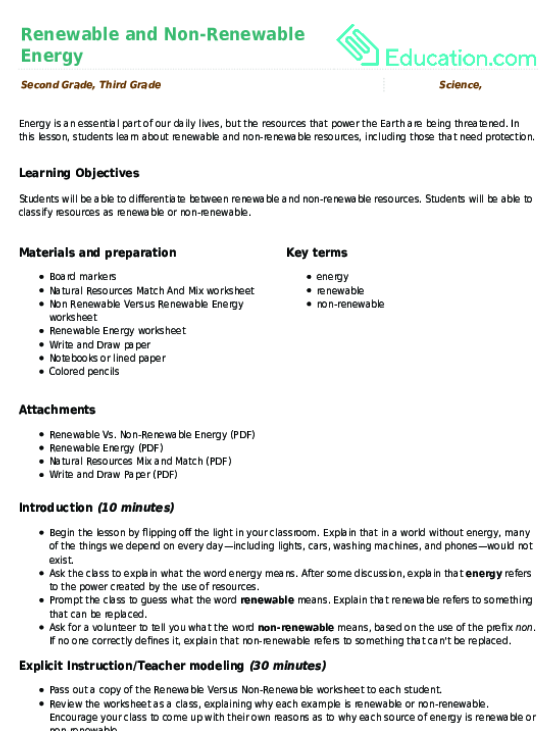 Test your child's knowledge of renewable resources with this review sheet. This activity will also reinforce kids' awareness of environmental issues. In this lesson, students learn about renewable and non-renewable resources, including those that need protection. What is biomass energy? Learn about an important form of renewable energy with this colorful worksheet.